The Outdoor Recreation Alliance (ORA Trails) is a 501c3 nonprofit established to create, enhance, and protect majestic trails within the Driftless region. ORA Trails received the International Mountain Biking Association (IMBA) Trail Accelerator Grant, from a pool of 12 applicants, to fund the planning of the Grandma’s Gateway trail project. 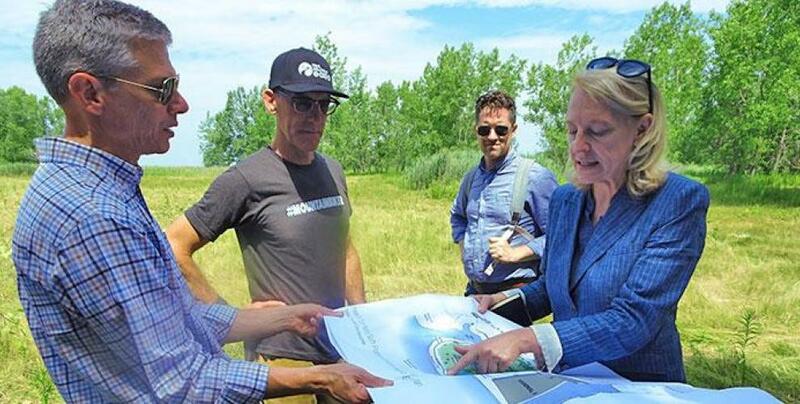 This project will turn an iconic regional landscape with no formal trail access into a community trail system, ripe with opportunities to connect to several nearby public lands. Developing Grandad Bluff Park into a multi-use trail system will provide neighborhood access, alleviate pedestrian road traffic and help clear out litter and invasive species. The closest school to new trailheads is a quarter-mile away. Read about the Trail Accelerator grant here. The Chad Erickson Connector Trail runs from Chad Erickson Park to State Road Elementary School. 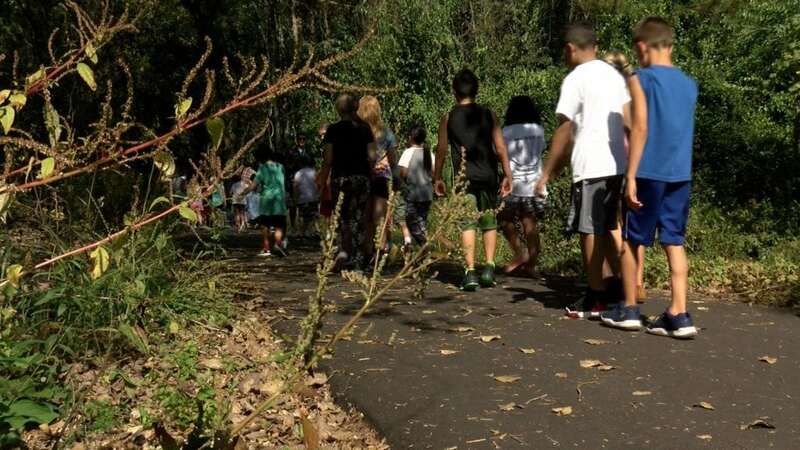 The trail has been in the works for two years and was completed in September thanks to the work of the parents of State Road Elementary School students who created the La Crosse Community Forest. ORA Trails worked with the La Crosse Community Forest to raise $100,000 for the project. This trail connects young and old with nature and the outdoors and was made possible because of the collaboration between ORA Trails, the La Crosse Community Forest, the City of La Crosse – Parks, Recreation, La Crosse County, and State Road Elementary PTO. ORA Trails, in cooperation with the City of La Crosse Parks and Recreation Department, hired Rock Solid Trail Contracting to repair the Upper Hixon mountain bike trails that were in desperate need of rehab after torrential rains last summer. On Wednesday, July 25th we hosted a Grand Opening and ribbon cutting for the new trails. Watch our video for a preview of the new trails. 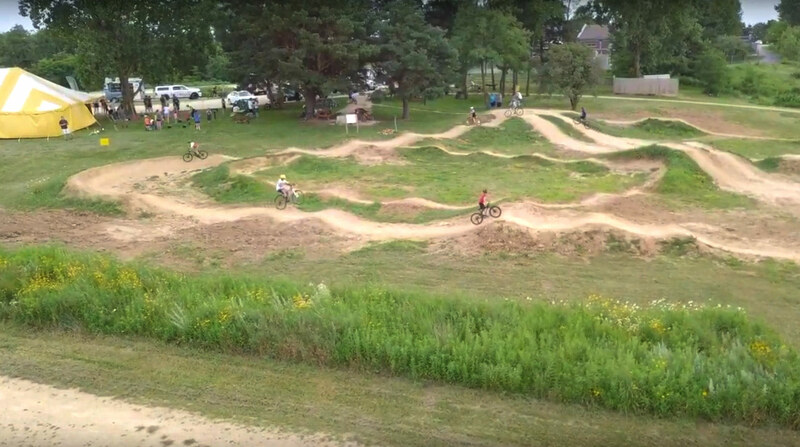 In cooperation with the City of La Crosse, ORA Trails led the efforts for the Lueth Park Revitalization project which includes improved neighborhood access, repairing the skatepark, removing an undersized and underused baseball field, and installing a bicycle playground. We also installed a hard surface pump track that compliments the other improvements and rounds out the project. This park serves as an activity hub and a highlight of the neighborhood, fostering pride and building community. Enter your email to find out the latest trail news, announcements, events and more!